How do we get masses of our students to be exposed to the original documents? Browse an annotated version of Great Lincoln Documents: Historians Present Treasures from the Gilder Lehrman Collection. Each of the documents, selected from The Gilder Lehrman’s Collection’s nearly 500 Lincoln manuscripts, is introduced by a historian who offers insight into its context and significance. 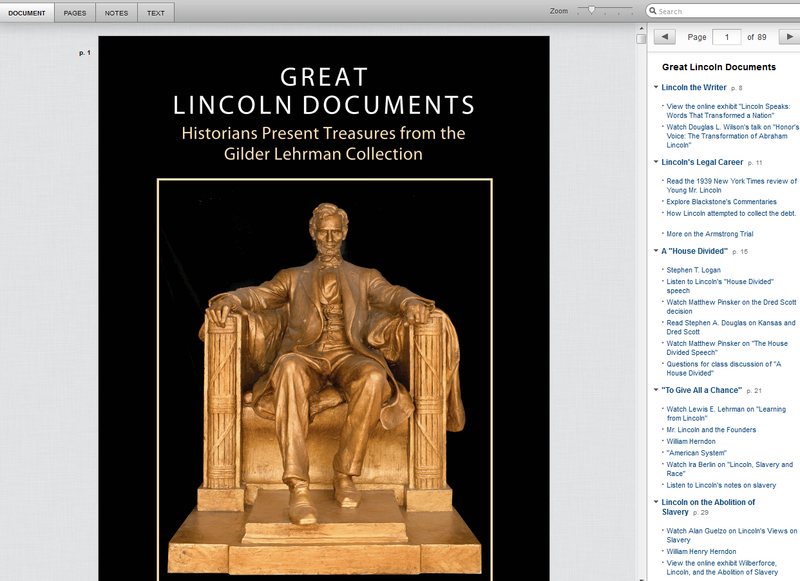 The documents have also been annotated and augmented with links to additional material from The Gilder Lehrman Institute and Abrahamlincoln.org. Teachers, you can also add your own notations to this digital document and save your lesson plans from year to year!